Have you ever volunteered to plan a special event for a group? Maybe a high school class reunion, bridal shower, work gathering or birthday party? It seems easy enough at first. All you have to do is find a venue, send invitations and provide food, right? Ahh, if only it were that easy. Many times planning even the smallest events can cause lots of stress. If you have been volunteered to plan an event or maybe you were a brave soul and volunteered yourself – here are some insider tips on how to plan a unique event in Dublin. The entrance at The Venue at Corazon. The Venue at Corazon – Newly renovated and reopened in winter 2013, the Venue at Corazon is definitely one-of-a-kind. 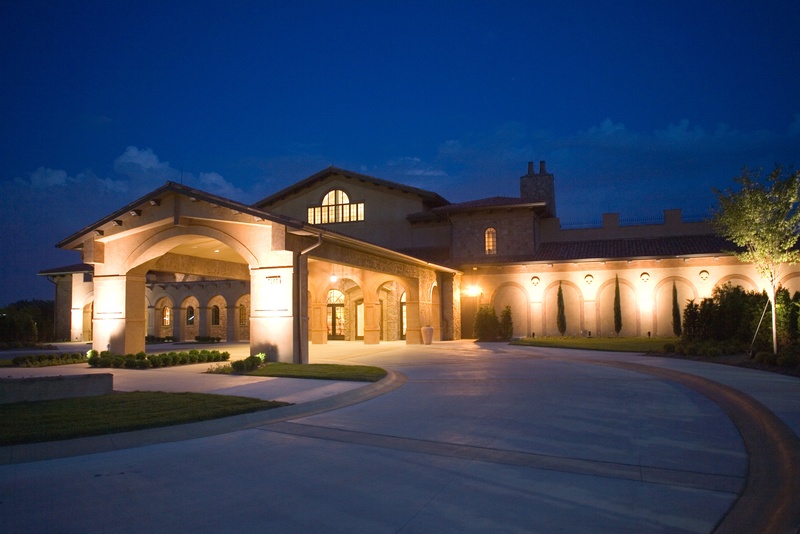 A vineyard, fireplaces, outdoor terraces, state of the art gym equipment and on-site catering make the facility a possible location for all types of events - corporate, weddings, rehearsal dinners, board meetings, etc. Golf Club of Dublin – Some residents say Golf Club of Dublin has the prettiest sunset in Dublin. The back patio of the clubhouse overlooks the course and provides a stunning view during the warmer months of the year. Golf Club of Dublin is a public course that can work with a variety of groups. 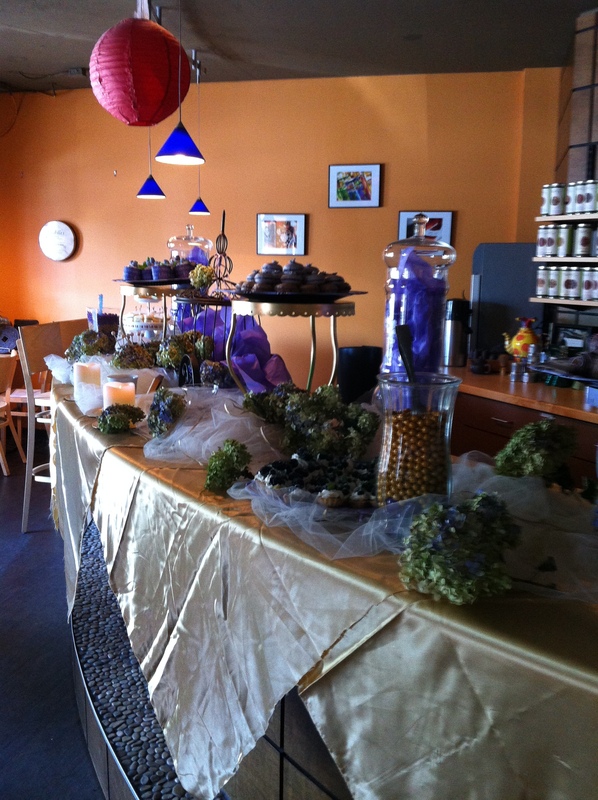 Special set up for a bridal shower at TehKu! TehKu – For a small, intimate event, try booking the private room (or possibly the entire facility). The owner, Inggrie, is not only creative, but always goes above and beyond to make an event special. The Columbus Zoo & Aquarium – The #1 Zoo in America has a variety of indoor and outdoor meeting spaces. The Water’s Edge Pavilion (outdoor) can hold up to 10,000 guests. The Zoo not only has on-site catering, but they can also arrange to have animals present at your event. Pictures with a snow leopard or baby kangaroo are always a hit! Dublin Arts Center – Another venue with breathtaking views! The Arts Council is the gorgeous, castle-like building off Riverside Drive along the Scioto River. There are special rooms to accommodate groups as small as 8 or up to 140 if you use the outdoor space, too. Events are catered and managed by Bleu & Fig. Vendors – Sometimes it’s the smallest details that make an event memorable. If you want guests to take home a special treat from an event, contact the Candle Lab. They can work with you to create one-of-a-kind scents and labels for individual candles for guests to take home. If you are thinking more along the lines of sweets, try Sisters Sweet Shoppe. Are your guests Ohio State fans? Give them each a box of Buckeye Crunch to take home. Have any popcorn lovers? Ask for individual bags of gourmet popcorn. Catering – Love the unique restaurants in Dublin? Many will cater your events! Sunny Street Café (Avery/Perimeter Loop) is known for their amazing breakfast, and visitors such as AJ Hawk, Eric Clapton and Phil Mickelson have all recently stopped in. They have delicious lunch specials, too, that can be catered. For more information on event planning in Dublin, visit www.IrishIsAnAttitude.com.